Hello there! I hope your Monday morning is going well! I was up with the birds and on my second cup of coffee already! Yes, I’m a little excited because today I’m launching my very last class for 2015! A “Zen Abstract” Encaustic Wax Collage using vintage and handmade papers with a focus on balance, simplicity, unity and tranquility. 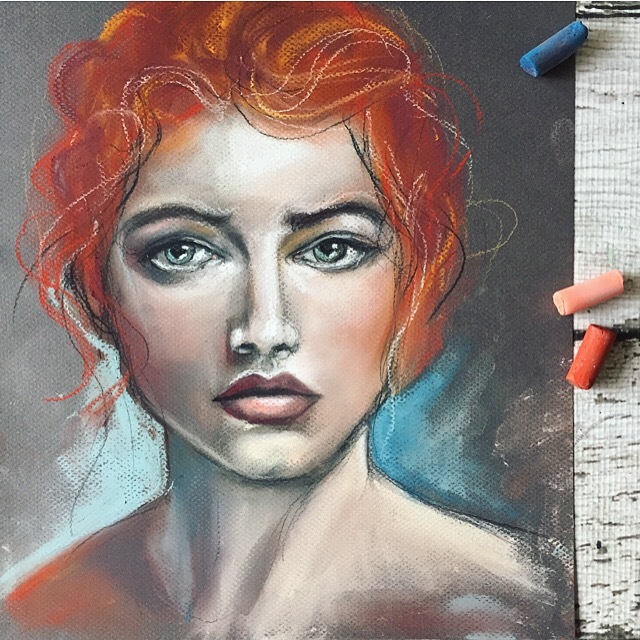 A beautiful “Woman in White” Portrait, inspired by Whistler’s painting “Symphony of White I” using acrylic paint and soft chalk pastels while exploring a multitude of milky hues and lessons on drawing the face and figure. A “White Horses on the Horizon” landscape painting incorporating, pattern, texture and finally cold wax to create a dreamy finish. I’m beyond thrilled to share these projects with you! Plus, these creations would make amazing gifts for your loved ones! Just in time for the holidays! Read more about the class* and register here! Classroom opens Dec 1**. *As with my last class, there will a limited number of seats and registration will close once it fills to maximum occupancy. **You will have lifetime access to the classroom so if you are too busy this December then tuck this one away to do after the holidays. A perfect way to decompress! Have a beautiful, creative week!